Goffs Kildare Paddocks may have been enshrouded in fog, but the Frankel (GB) filly out of dual Classic heroine Finsceal Beo (by Mr. Greeley) shone like the star she's bred to be when becoming the most expensive foal to sell in Ireland with a €1.8 million price tag on her head at the Goffs November Foal Sale. Al Eile Stud's glittering broodmare was also responsible for the modern-day record price for an Irish yearling when her son by Montjeu sold for €2.85 million in the same ring at last year's Orby Sale. Now named Ol Man River, the colt is an unbeaten G2 Beresford Stakes winner and one of the favourites for next year's Derby. 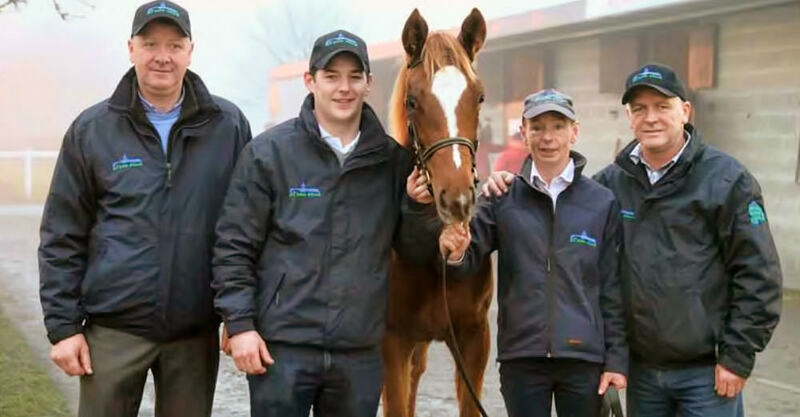 Successful purchaser Dermot Farrington was unable to name his client but confirmed that the filly - the third-highest priced weanling ever sold in Europe behind half-siblings to Derby winners Generous Galileo (Ire) and Sea The Stars (Ire) will remain in Ireland. He added "She was a stand-out filly - horses like this don't come up for auction very often". The highest price paid for a weanling in Europe since 2002 plus 33 six-figure lots on the final day of the November Foal Sale compared to 18 at the corresponding session last year - led to a boost in aggregate of 55% for the session to €13,424,500 and by 52% for the total sale, with the final tally standing at €27,504,700. "Sensational, amazing, historic", said Goffs Chief Executive Henry Beeby. Those are just some of the sentiments that have been expressed over the last fourdays. "We have witnessed a foal sale of unprecedented strength."